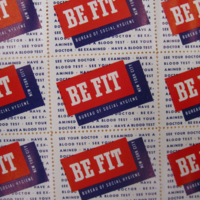 These stamps were created to promote blood tests in NYC. 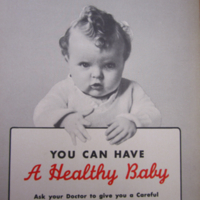 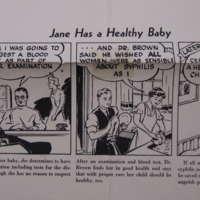 "Be Fit: Bureau of Social Hygiene, New York City: See Your Doctor : Be Examined : Have a Blood Test"
"See Your Doctor : Be Examined : Have a Blood Test : Bureau of Social Hygiene : N.Y.C. 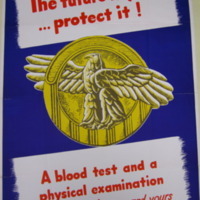 Health Dept. 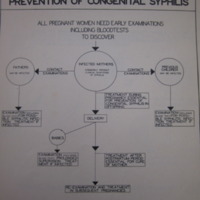 Cooperating with N.Y. State Health Dept. 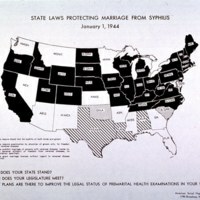 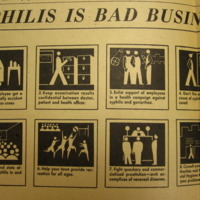 & U.S. Public Health Service"
This infographic presents the steps industry should take to help control syphilis among their employees and within the community. 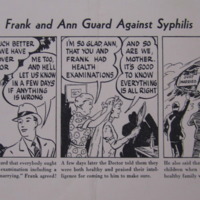 It is featured in the NSHD broadside. 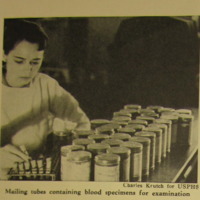 This photograph shows a woman working with blood samples. 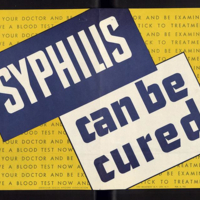 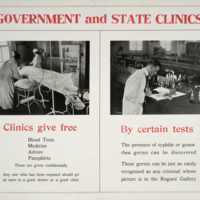 This is from an article by R.A. Vonderlehr in Survey Graphic giving an update on the state of syphilis control in the US. 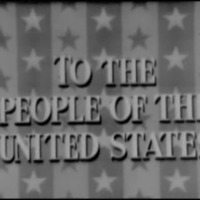 "The future is yours...protect it!" 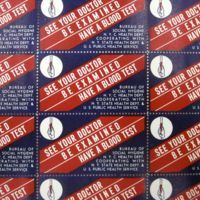 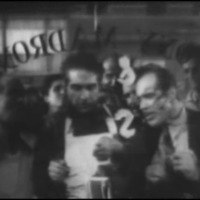 "A blood test and a physical examination--every year, for you and yours." 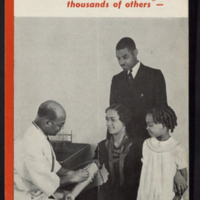 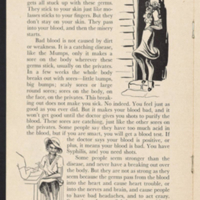 "Our Family Are Having Their Blood Tests Like Thousands of Others"
This is the cover to a syphilis pamphlet created for African American audiences. 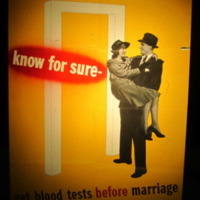 It shows a mother getting her blood drawn for a blood test while her husband and daughter look on. 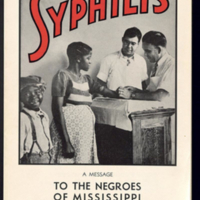 "Syphilis: A Message to the Negroes of Mississippi"
This is the cover for a pamphlet created for African American audiences. 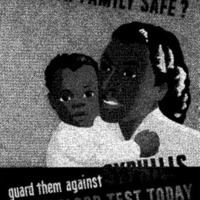 It features a photograph of a black woman getting blood drawn.